Il campus dell'Angelicum si situa nel centro storico di Roma sul colle Quirinale nel rione della città eterna conosciuto come "Monti". Si trova all'inizio di via Nazionale presso le rovine del mercato di Traiano, sopra la via dei Fori Imperiali, e Piazza Venezia. Il sito dell'Angelicum è ricordato nella storia prima dell'anno 1000 con il nome Magnanapoli. Ci si trovava una chiesa dedicata alla Beata Vergine Maria. La natura del sito è incerto prima del secolo nono. Secondo una teoria il nome Magnanapoli deriva dall'espressione Bannum Nea Polis o "fortezza della città nuova". Nel nono secolo il sito era occupato da uno stabilimento militare bizantino di cui faceva parte la famosa Torre delle Milizie, la torre più antica di Roma ancora esistente. 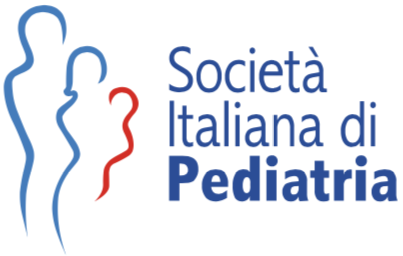 We would be so happy to see you in Sweden at the 14th Congress of the European Society of Pediatric Otorhinolaryngology – ESPO 2018. It will be held in Stockholm, June 2-5, 2018 under the patronage of Her Majesty the Queen of Sweden. We have planned some very interesting days on the general theme “Together for the best of the child” discussing collaboration in different ways. Discussions, panels, round tables, free paper sessions and simulations are planned to take us from basic science to hands-on training in an interactive and pleasant environment. After the previous meeting with warm nights in Lisbon we welcome you to take part in our “White nights”. This is when the sun hardly sets and the night turns blue instead of black! Stockholm in June has a lot to offer from nightlife at restaurants, bars and boats to the endless archipelagos just outside our venue, the ‘Stockholm Waterfront Congress Centre’, located in the centre of the city. Korean Society of Otorhinoraryngology-Head and Neck Surgery (KORL-HNS) was founded in 1947. It has grown into a large society with the number of members approaching 4,000 people. In addition, not only it has a growing number of people attending society conferences at the academic societies but also the congress has developed to a global level, recognized by academics and professionals around the world.